Home/News & Features/Social Media News/Google/FAQ on Google Mobile-First Index – What Is It & How Should You React? FAQ on Google Mobile-First Index – What Is It & How Should You React? 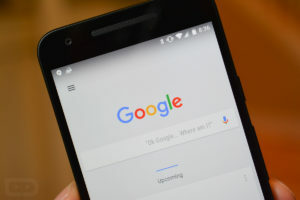 Recent reports reveal that Google is all set to roll out a new mobile-first index which clearly indicates that Google will create its search listings and also rank them based on the mobile version of the available content. You must be wondering how this will work? Since the day this announcement was made, people have been tracking that Googlers had many sorts of questions in their mind since they didn’t seem to understand the entire thing. This is why you can go through this FAQ in order to clear your doubts. With the mobile-first index, what is changing? Nowadays more and more searches take place online and this is why Google too wants its results and index to contain majority of its users who are mostly mobile searchers. Off late, Google has started using the mobile version of their web as their main search engine index which is a collection of documents and pages which the search engine has discovered through crawling. From crawling the web, Google is gradually changing it to mobile browser view. What to do if you don’t have a mobile website for your company? Google has asked business owners without a mobile version of their website to not fret. But at the same time, Google definitely wants you to have a mobile website. If you have only a site for desktop, Google will keep on indexing your website even though you may be using a mobile user agent to check your site. In case you have a mobile website, you have to ensure that the links and content on the mobile site are similar enough to that of the desktop version. Should you worry if your mobile site has less content than desktop site? Yes, if your mobile site doesn’t have enough content like your desktop site, you need to worry. If the Page A of your mobile site has less content than the Page A of your desktop version, then Google will consider the mobile version with ‘less content’. This is the reason why Google asks you to make your websites responsive so that the content can be similar on all pages, whether the mobile or the desktop version. There is definitely much more to know about the Google mobile first index and Google amp pages but as of now you can learn this much for your knowledge. Know more about Google’s latest updates here.